Eating past 11pm has always been seen as unhealthy. Here is a list of healthy late night snack that you can munch on to fight hunger – even after the sun has set! Late night snacking has always gotten a bad rep. The reasoning behind this is that you can’t sleep well on a bulging stomach, that your metabolism slows down and that you risk gaining weight. However, eating something late at night may not be as bad as you believe it to be. The next time you feel the need for a small snack to fill a hole in your stomach before heading to bed, try one of these 7 healthy options! Not only is chocolate not a forbidden food – dark chocolate is actually great for you! High in antioxidants, it can lower your blood pressure and help you fall asleep faster. Like in a real American comedy, night hunger means ice-cream jar and a big spoon! 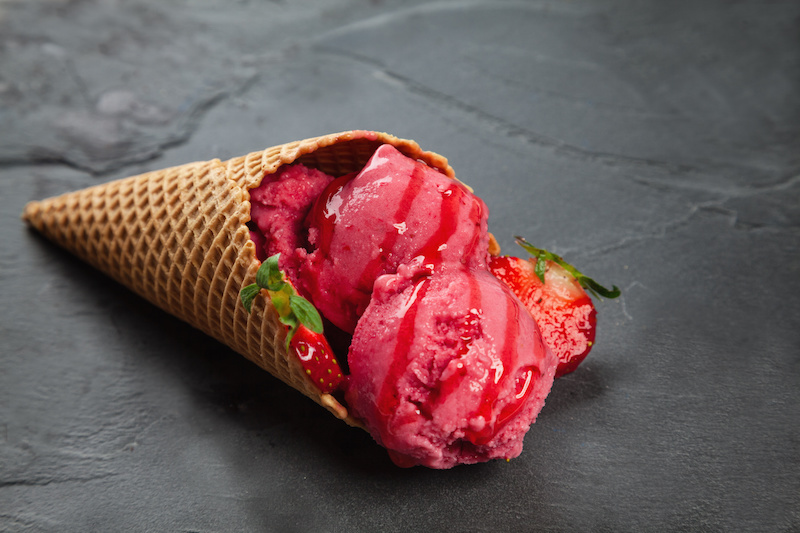 But classic ice-cream can pack quite a lot of calories; so try this night friendly recipe instead! Take a cup of strawberries and two ripe bananas. Freeze them, and blend them together in a food processor until you achieve a cream like consistency. Enjoy! Nutritious and satisfying. If you are looking for something more, try adding cottage cheese or some fruit like frozen raspberries. 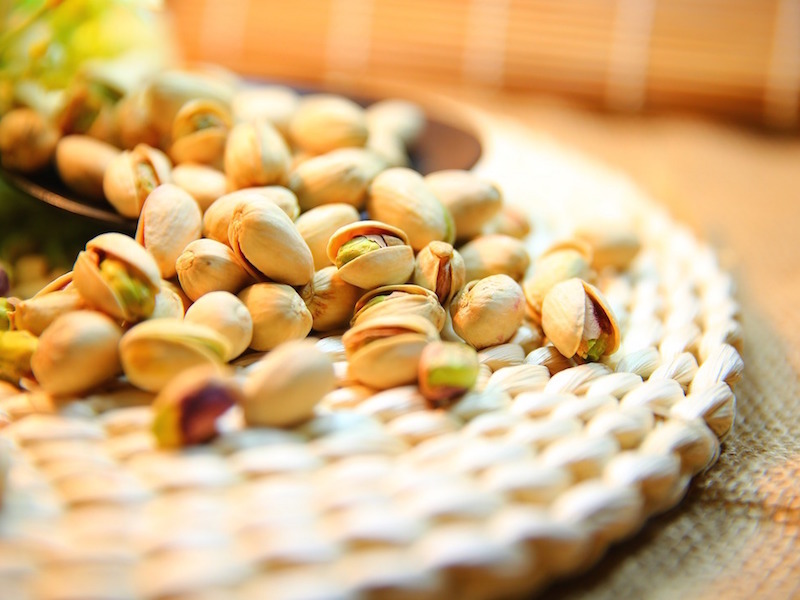 I love pistachios! The problem is to sto stop eating them because they are so delicious! One of the healthy night snacks for excellence. 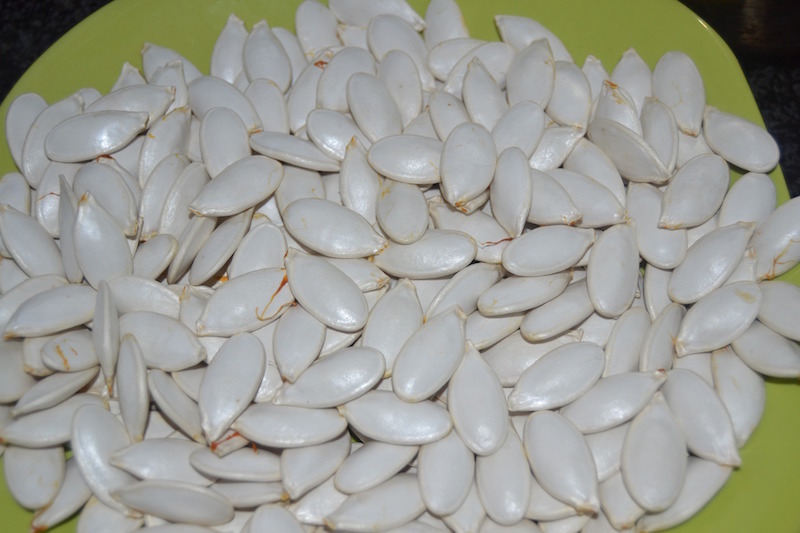 Roasted and unsalted pumpkin seeds taste great, and the magnesium contained in them helps you unwind to go to bed. It’s the perfect way to satisfy your hunger, without compromising your diet. When I was small and my throat hurt, my mom always gave me a nice hot glass of milk with honey. This drink can warm you up, and help you go to bed with ease. Kale chips have a minimum amount of calories, but can be deeply satisfying to eat if you are looking for a savory snack. They take half an hour to prepare; if you run your oven to cook dinner, you might as well prepare a batch of kale chips to enjoy later in the evening! High in magnesium, they can be snacked on raw or salted. People who consume them regularly have experienced improvement in their cholesterol levels. I hope you will enjoy these healthy late night snacks. And if you have trouble sleeping and relaxing you may try with this music video, which contains different soothing tracks that will help you unwind and fall asleep. Don’t forget to follow our blog and facebook page for other interesting diet and lifestyle tips, leaving your opinion.